I love the appearance of perfectly polished nails but for those short on time or with a less than steady hand, an immaculate manicure can be difficult to achieve without costly trips to a salon or nail bar. I've never been one for false nails and the like so when I was told about Nailease Instant Manicure ﻿Varnish Strips, which launched last month, I was intrigued yet not convinced they'd be for me. It's taken me a while to get around to trialling the strips but I'm absolutely delighted with the results. Practically foolproof to apply, the pre-cut varnish strips simply stick to nails and then are filed down (a file is thoughtfully included) to size. A high gloss manicure is easy to achieve in a short amount of time as there's no fussing with base or top coats and the strips are sufficiently opaque that it takes away the worry of applying a few coats to achieve a saturated or streak free colour. The best part is that there's zero drying time. I have found that tip wear is worse than with regular polish but given how easy the strips are to apply, I'd happily experiment with colours more regularly. When the time comes to remove the polish, simply use standard polish remover. I was impressed to note that there was no staining on my nails despite having trialled a black shade. 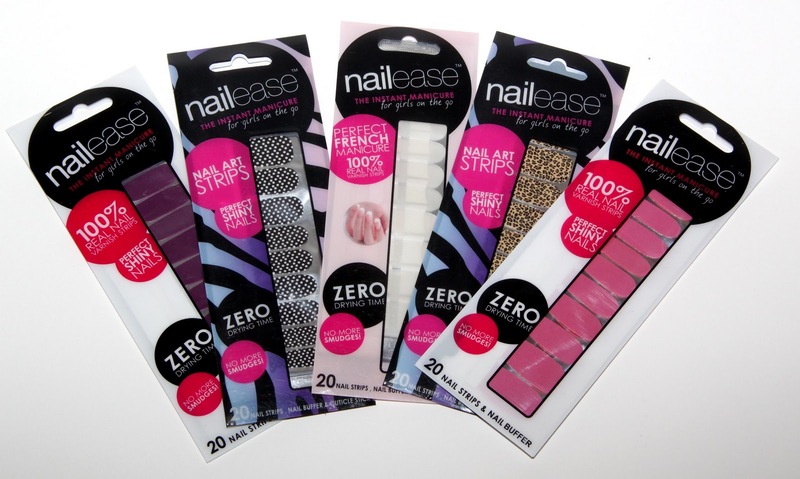 Additionally, the strips would be ideal for those who travel as there is no liquid involved or the design strips would be a good starting point for anyone wanting to try out nail art. The strips are priced at £5.99 which I think is a fair price. A perfectly polished thumbs up!